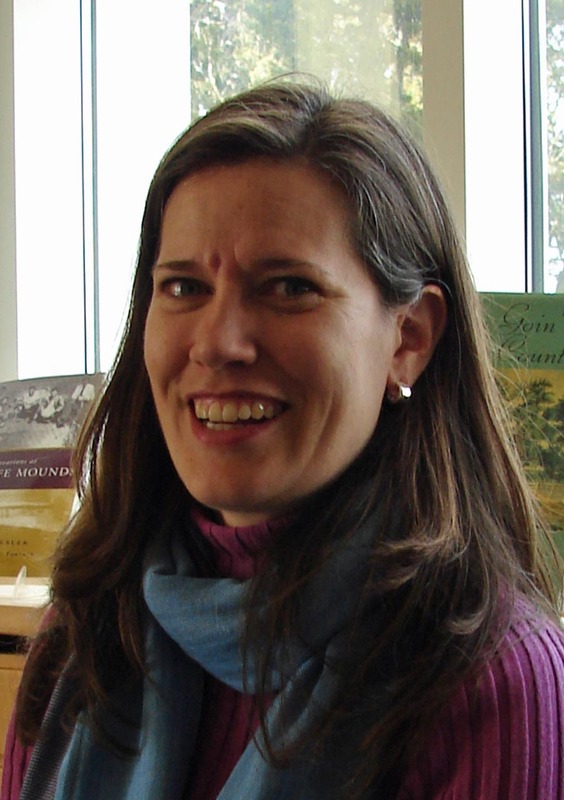 This week’s post is an interview with Kimberley Popetz, the Director of Education at Maryland’s Jefferson Patterson Park and Museum. Kim directs an innovative, intensive and engaging volunteer and public outreach program at her Park and Museum. I found Kim’s interview responses very informative on multiple levels. The breadth of Kim’s career path is informative for today’s cultural heritage professional. Kim’s work also exemplifies the interdisciplinary potential of archaeology and museum studies. The Jefferson Patterson program demonstrates the value of long-term development with a diversity of public engagement. And if you want to experience the very essence of a Participatory Museum, read Kim’s answer to the last interview question below! Could you tell us a bit about yourself and your responsibilities at the Jefferson Patterson Park and Museum? My goal when graduating from school was to find a job that would let me teach about archaeology outside of a classroom. When looking for that job, a kind soul who interviewed me said that I had more education experience than any other candidate. But, while I had a Master’s degree in anthropology, I had no practical experience in archaeology so they couldn’t hire me. I set out to fix this discrepancy by landing CRM jobs while also working in museums part-time. After working in CRM for many years, I turned my attention fully to the museum world and succeeded in reaching my goal when I obtained my current position. Jefferson Patterson Park & Museum (JPPM) is Maryland’s State Museum of Archaeology. As Director of Education I oversee the planning and implementation of our public and school programs including our Discovering Archaeology, Tidewater Lifeways and Kids’ Work programs; assist in exhibit development; develop and run long and short-term outreach programs in the local schools; develop and promote our traveling trunks program; assist with public events, speaker series and workshops; and create and run our docent program. Because we have a fairly small staff I also oversee visitor services and do development work to support my programs. How are volunteers recruited and retained in your public archaeology programs? We use archaeology volunteers in two different ways, so there are two answers to this question. For our formal, two-month long, annual Public Archaeology Program, we recruit volunteers in many ways. We advertise on our website, in the newsletter of the Archeological Society of Maryland, in local newspapers, and in the outreach material produced for Maryland’s Archeology Month each April. We generate flyers that are distributed at our Visitor Center and the Maryland Archaeological Conservation Laboratory (MAC Lab, located on JPPM grounds), at special events, and at local libraries, etc. We get positive word-of-mouth advertising – for example, on home-school websites. As for retaining these volunteers (and really, we think of them more as participants in an educational program than as strictly volunteers), we mainly work at giving them a quality experience. Because the program has been running since 1996, we have developed a core of certain groups – camps, classes, etc. – that return year after year, and this also holds true for some families and individuals. Every year we also have many new participants who join us for a single day to see what archaeology is all about. During the rest of the year outside of the Public Archaeology Program, the MAC Lab uses a small number of volunteers. That number is kept low because we have a limited amount of work appropriate for volunteer assistance. We recruit these volunteers through announcements in the newsletter of the Archeological Society of Maryland, and through the efforts of the JPPM Volunteer Coordinator. As a general rule, we try to find off-season volunteers who have already done archaeology before, or who are college student working on a degree in an archaeology-related field. For those who don’t meet those criteria, we encourage them to participate in the summer Public Archaeology Program so they can figure out if they really are interested in archaeology, and so we can evaluate if they will be able to help us the rest of the year. To retain off-season volunteers who are doing a good job for us, we invite them to staff events (such as our luncheons and holiday parties) and to the annual JPPM Volunteer Awards dinner, and we try to work with them to find projects that are both interesting to them and beneficial to us. Kimberley and docent seining at the Smithsonian Environmental Research Center in Edgewater, Maryland. One of your public archaeology projects involved high school students using curated collections to create exhibits for public libraries and museums. How did you recruit students for this project? We’ve been working for over three years with a local high school teacher’s archaeology class. Jeff Cunningham’s classes have researched and created three cell phone audio tours for JPPM on topics ranging from the Native Americans that used to inhabit the land along the Patuxent River in Maryland to the War of 1812. Last year he came to me and asked if I would be willing to help him create the content for a class called Historical Investigations. The idea for the class was to pull together a group of students really interested in history who wanted to gain deep knowledge about one or two specific historical moments as opposed to the broad overview they receive in their regular history classes. The students had to be invited to take the class by Jeff or recommended to him by another teacher or guidance counselor. How has your Museum’s outreach to the general public evolved over the past few years? More and more we’ve come to recognize that we have to work much harder to involve the local community. We’ve been focusing on creating a wider variety of programs that appeal to a broader spectrum of the public. Our marketing coordinator has really stepped up her efforts to make sure the community is aware of our offerings both by taking advantage of the various social media out there but also by reaching out more to local groups and creating word of mouth advertising. We’ve made large strides in making our facility welcoming and open on a more regular basis than in the past, and we’ve begun collaborating regularly with other community players to create exhibits and presentations that go to the people, instead of asking them to come to us. Lastly, we work hard to listen to what the community needs and wants before creating programs so that we know that we’re filling a gap. Having said all of this, I think the biggest way we’ve drawn in the wider community is actually through our project based school programs. We celebrate the student’s achievements with openings that showcase their hard work and bring relatives, friends and community members who were involved in the process to our site. Because we’re fairly isolated on a small peninsula, we often get comments at these events about how wonderful the facility and grounds are and how folks didn’t know we were here, but will definitely be back. In a little less than a month, I hope that I’ll be able to say that the final project for the current high school class will be one of our most successful efforts. In October, we presented the students with the opportunity to document and present objects that haven’t been touched since their excavation in 1980. At that time, a new Federal Reserve Bank was under construction in Baltimore, MD. Construction crews began uncovering multiple archaeological features and archaeologists were called in to salvage the information about a Baltimore neighborhood that had long since been destroyed. It was a wet cold February when the archaeologists were called in and they were given no more than two months to save what they could before the construction equipment went back to work. Over twenty features were uncovered and the documentation and artifacts associated with those features has sat untouched until now. As the state repository for artifacts, we’ve had this collection sitting on our shelves for over a decade (our collection storage wasn’t built until the mid-90s and state collections were housed in multiple locations all over the state up to that point) but haven’t had the manpower to do any sort of research. Patricia Samford, the Director of the MAC Lab, chose one feature, a privy, for the students to examine. They have cataloged all of the artifacts, researched the neighborhood, looked at maps, visited the National Archives for more extensive assistance, mended artifacts and done minimum vessel counts among other things. They have each chosen an artifact or aspect of the site for further research and they will be the authors of the final report on the feature that will be archived along with the collection. They are currently designing an exhibit to share with the community what they’ve learned. The exhibit will be on display in our local public library for 10 weeks beginning in May. We’ll launch the exhibit with a party open to the community, to celebrate what they have accomplished. How has the Jefferson Patterson Park and Museum incorporated social media and a “virtual” presence in public outreach and education? Two years ago we launched a section of our website devoted to kids in hopes of making archaeology more accessible to people who can’t make it to our physical site but wanted to learn more. We offered prizes to encourage people to offer feedback and make the pages better. We also have a Pinterest page where you can see things related to all different aspects of the facility. In a couple of weeks we’re planning to use the Pinterest page as part of a professional development workshop for teachers by asking them to submit new ideas for teaching elementary students about the War of 1812 that others can use in their classrooms. We use our Facebook page to promote programs and events at our site but also to pass along articles, blog posts and other information we think our followers would find interesting. We love to see the photos that visitors post after attending a program, event, or just visiting the grounds. We also have a Facebook page. What are some of the biggest lessons you have learned over the years with the volunteer program? I created our 10 week training course for our docents and have found them to be some of the most interesting and enthusiastic people. I have learned so much from them that it’s hard to distill it down to one or two ideas. I would say that museum staff should really take the time to listen to their volunteers. Every year we have a wrap up meeting at the end of our busy fall season. We provide a homemade dinner for all of the docents and then ask them to give us some tough love and let us know what worked and what didn’t work and how we can make the docent program work better for them. We also ask for their input on our programming and events and what they would like to see in the future. Their answers often surprise me and allow me to see what we do in a different light. We try to follow up on as much of their feedback as possible. Some of the ideas they suggest aren’t workable because of various time or physical constraints, but we have had some great successes following through on other ideas. Finding the staff time and funding to execute a program well. Compared to many small museums, I have a big staff—three full time educators plus myself. But we have a commensurately large program and have been pushing ourselves to offer and do more every year. Making time to find funding that could potentially bring on additional staff is the only way I can see right now to expand our offerings into new areas without cutting some of the programming we already do. We did this recently when we created a new traveling trunk called Through the Perilous Fight—Life during the War of 1812. The funding we received allowed us to hire a curriculum writer to develop the lessons that travel with the objects in the trunk and guided our decisions on what to include while saving us from devoting hours to curriculum development in-house. The trunks are now available for teachers throughout the state of Maryland to rent at a nominal cost, expanding our reach while not appreciably expanding the amount of staff time needed to maintain the program. None of this is revolutionary in any way. But staying on top of the planning and grant cycles so that we can launch these types of outreach projects is a constant struggle for most educators. Do as much as you absolutely can to find out what your community wants and needs. If your programming is created because you think it’s a good idea it may or may not work. But if your programming is created to address a need in your community, especially one that has been voiced by community members, it will almost certainly succeed. ← What to do with all of those surface collections. . . Thank you for sharing this story! Museums serve such a vital role in communities and sadly are on the chopping block with current spending cuts. This highlights their value and how effective they can be.